In recent years, combined with existing threats, the rise of right-wing and nationalist populism across the world has led to an increasing number of governments implementing repressive measures against the space for civil society (civic space), particularly affecting women human rights defenders (WHRDs). The increasingly restricted space for WHRDs presents an urgent threat, not only to women-led organisations, but to all efforts campaigning for women’s rights, gender equality and the rights of all people. In spite of these restrictions, WHRDs have campaigned boldly in the face of mounting opposition: movements such as #MeToo #MenAreTrash, #FreeSaudiWomen, #NiUnaMenos, #NotYourAsianSideKick and #AbortoLegalYa show how countless women are working to advance systemic change for equality and justice. More WHRDs across the world are working collectively to challenge structural injustices and promote the realisation of human rights and fundamental freedoms. Their power has been in the collective, despite constant attempts at silencing them. Furthermore, there have been WHRDs recognized for their invaluable contributions to opening civic space and protecting human rights in India, Poland, and Ireland. In the United States, WHRDs have won awards for the environmental activism, and in Iraq for their work in calling for greater accountability for sexual violence during war time. 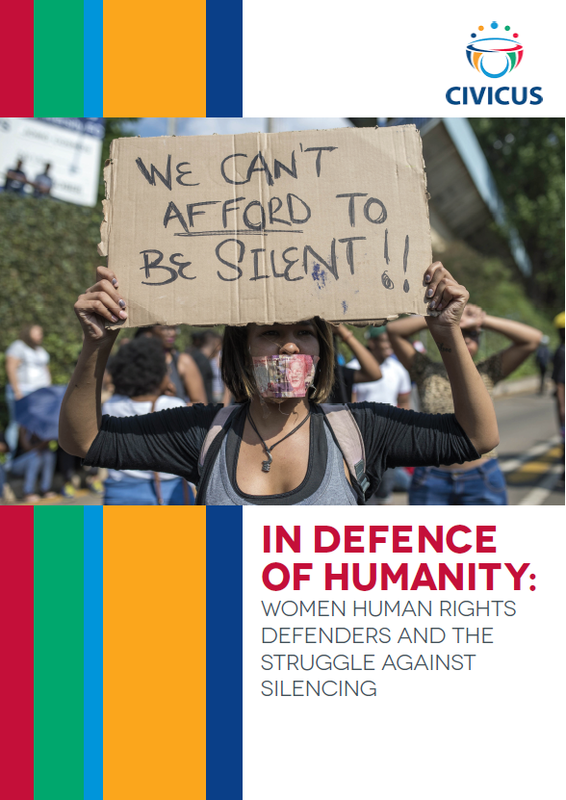 This policy brief responds to this context and highlights how the participation of WHRDs in defending and strengthening the protection of human rights is critical for transforming traditional gender roles, embedded social norms and patriarchal power structures. WHRDs are leading actions to advance sexual and reproductive health rights (SRHR), socioeconomic justice, labour rights and environmental rights. Moreover, WHRDs work to ensure that women are included in political and economic decision-making processes, making clear the disproportionate effects that socioeconomic inequalities have on women and gender non-conforming people. My blog contains many posts about woman human rights defenders and especially about awards given to them. see: https://humanrightsdefenders.blog and use “woman human rights defenders” as search term.